Mobikwik was offering Rs.66 Cashback on adding Rs.1950 in wallet. In the same way now avail the same offer in Paytm too. Just Add Rs.1950 or more in your Paytm wallet & Get Rs.66 Cashback free (Add 1950 to make it Rs.2016). Celebrate Republic day by filling your Paytm wallet and use the cashback anywhere you want or send it back to your bank. How to Get the Paytm Cashback Offer ? This entry was posted in Online Deals, Paytm, Paytm, Recharge. Paytm Christmas and New Year Offers, Coupons, Promo Code 24 December 2015. 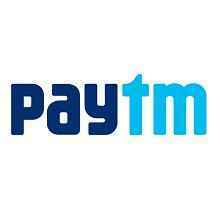 Paytm XMAS Coupon Code Get Rs 10 Cashback on Rs 50 Recharge. Latest Updated Paytm Christmas Coupons, Offers, Promo Code, Coupon Code, Cashback Offer. Just Follow Below Steps to Avail Paytm XMAS Offer. This entry was posted in Paytm, Recharge and tagged Paytm, Postpaid, Prepaid, xmas. Update – The offer is working fine. Enjoy !! This entry was posted in Online Deals, Paytm, Paytm, Recharge and tagged bourbon, Paytm. Paytm has come with a brilliant offer, giving Rs 10 cashback on recharge of Rs 50 or more. Hurry up and avail the limited period offer !! This entry was posted in Paytm, Recharge and tagged bill payment, Paytm, recharge. Paytm has come up with a new cashback offer for Mobile recharges and bill payments. It is giving flat Rs 50 cashback on mobile recharges or bill payments of Rs 50 or more. Offer is valid for new users only. This entry was posted in Paytm, Recharge and tagged billpayment, cashback, dth, Paytm, Paytm Wallet, recharge.